“Bible Answer Man” Hank Hanegraaff and his “Christian Research Institute” are the Snopes of Western Christendom and, just like the devious couple behind “Snopes”, they work tirelessly on behalf of the Luciferian Elite to sow discord and protect the Final Beast of Biblical prophecy: Rome. I’ve told you this before—we Christians have been intimidated and lied to about why we don’t need to fight for Truth. We’re told “satan owns the globe” and, therefore, there’s no sense trying to stand up to him. We should just sit in a corner and wait for the Pre-Tribulation Rapture to beam us out. We own the Earth. It was given to Adam to steward as a son of God. Adam’s sin surrendered that authority for his children (who are all sons of Adam, sons of a man) but the Son of God, Jesus Christ won it back for us—for all who surrender to Him. If our adversary “owns” anything it is the parasitic system that he built which he uses to usurp and control our Earth. Although he masquerades as an angel of light [II Corinthians 11:14], our adversary is the very father of lies [John 8:44]. His entire empire is built upon them. Without lies, falsehoods and propaganda, the chains fall off. As a result, he has invested a sizable portion of all the wealth he has stolen and hoarded into buying pawns and traitors to Christianity to shore up the matrix we live in. Enter Hendrick “Hank” Hanegraaff and the “Christian Research Institute”. 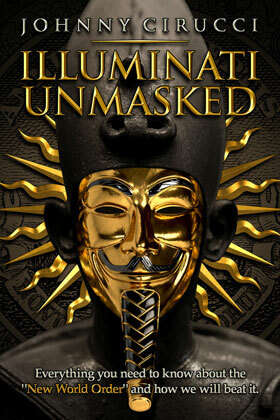 I grew up (spiritually), immersed in the Matrix of the Final Beast. I came to Christ at a Calvary Chapel—a movement that has strong ties with Rome. I spent the next ten years of my Christian Walk learning from Dr. Chuck Missler—a man born of the military/industrial complex who has put a great amount of effort into fooling Believers with Rome’s doctrines. These doctrines include everything from the ball-Earth, heliocentric, cosmic accident of our supposed cosmology to a future Dispensationalist role of the fabricated nation of “Israel”; from the “Pre-Tribulation Rapture” to first Russia and now Islam replacing Rome as our greatest threat (all fabricated distractions from the Whore of Babylon, the Fourth and Final Beast). One of my first experiences with Hank Hanegraaf and the “Christian Research Institute” was in concern over their attacking my virtual Jesuit mentor, Chuck Missler. Of course, they weren’t attacking Missler on the critical issues taught by Rome like Dispensationalism or distracting Believers from understanding the “Holy Roman Empire” to be the Final Beast, they were simply attacking “Koinonia House” on teaching the importance of prophecy. In the field of subversion and counter-intelligence, you can plant your agents deep into the enemy’s camp by having them seem to out other agents. In reality, CRI’s “critique” of Missler also helps Rome! Prophecy is critical to understanding our environment and also an important factor in discerning who runs the system of Mystery Babylon—the hidden control of all banks, militaries, intelligence agencies, media and governments. The Company of Loyola—the Jesuits—is a military organization (their commander is the “Superior General”) that specializes in assassination, subversion and gathering intelligence. An excellent example of this is the suppression of the Jesuits in 1773. After 200 years of Jesuit plots in their countries, even Catholic nations were demanding the Pope disband his special forces. 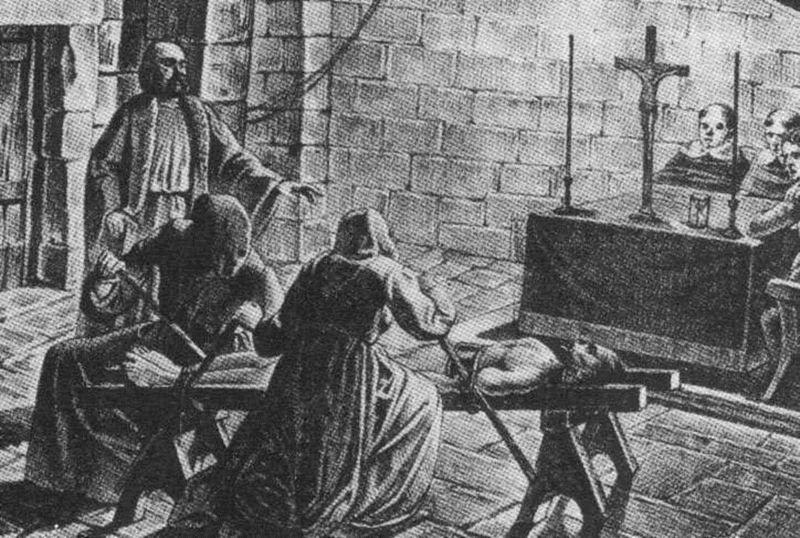 Although Clement XIII attempted to in 1767, he was murdered before he could sign the concordat. 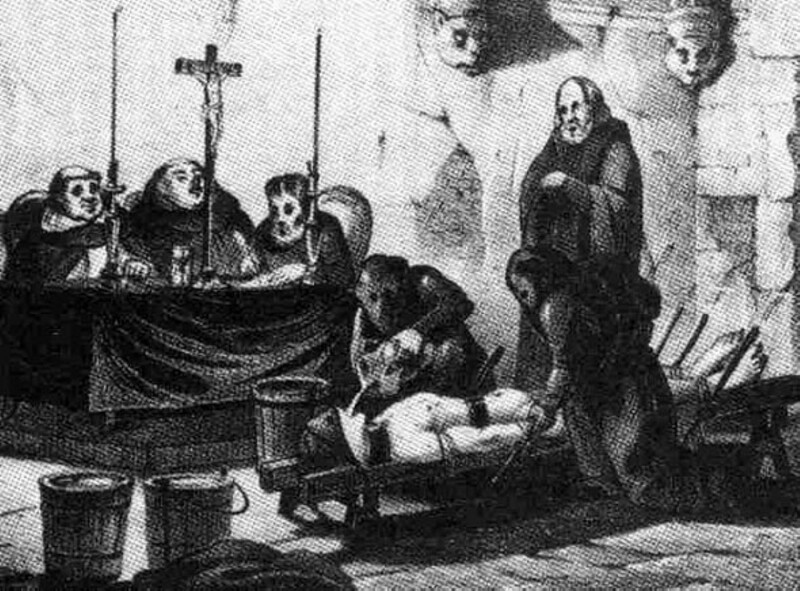 His successor was able to publish a Papal Bull—Dominus ac Redemptor on 21 July 1773—and he languished in extreme pain and even premature decomposition before finally dying of aquetta poisoning. Were they actually suppressed? One late author says “No!” and he has built a shockingly brilliant case. Frederick Tupper Saussy, in his Rulers of Evil, noted that Sun Tzu’s Art of War was published in 1772. It was “translated” by a Jesuit named Jean Joseph Marie Amiot although neither East nor West had any recollection of the nebulous “Sun Tzu”. It is far more likely that this book (required reading in America’s war colleges) was a publicizing of a Jesuit strategy so brilliant they would emerge in total control of all world affairs. CRI continues to pretend-attack fellow Papal agents like Missler and his Jesuit insurgent friend Hal Lindsey. For a public Christian, Lindsey’s personal information has been expunged from the internet. But when you are able to pull anything up it is at direct odds with his stellar moral and ethical reputation. Hal appears to be on his fourth wife. The book that put him on the “planet”—The Late, Great Planet Earth—was actually written by a Lesbian, radial Left activist and United Church of Christ “minister” Carole Carkeet Carlson (she also wrote several of David Jeremiah’s books for him, too, but don’t ask Wikipedia who she is). If you want to know where Hal’s heart is, just follow his daughters…to Jesuit Gonzaga University. Hanegraaff’s own personal life is also invisible across the vast internet, outside of his being born in the Netherlands and having twelve children with his wife Kathy. 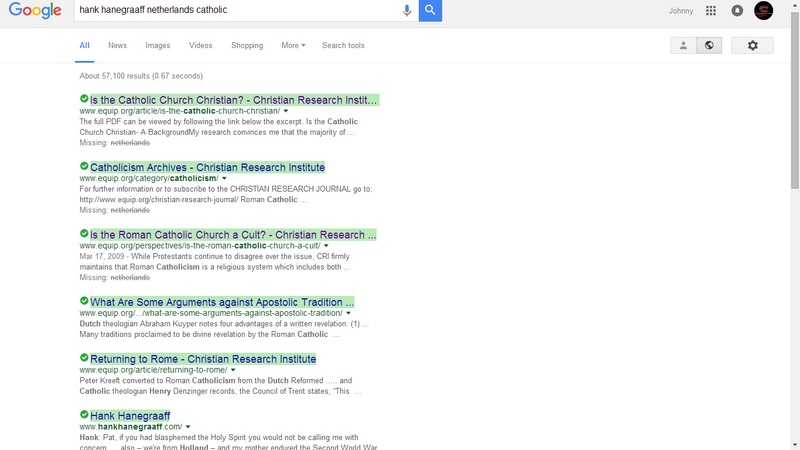 A “Google” search of “hank hanegraaff netherlands catholic” lists the entire first page (or subsequent pages for that matter) completely devoid of anything negative. It sure helps to have friends in extremely powerful places. Hanegraaff was born in the Netherlands and raised in the United States since childhood. He and his wife Kathy have twelve children. They lived in Southern California but are now living in Charlotte, North Carolina. Having twelve children is an astounding number of offspring and, certainly, a family plan that fits very much in line with Catholic doctrine. If you follow the Wikipedia footnote, it takes you right to the Christian Research Institute! —Certainly an objective, critical source, there. A blog connected to alternative media investigative journalist Anthony J. Hilder claims that Kathy is Hanegraaff’s second wife and he has a daughter by his first! Indeed, Hendrick has been a busy man. Although Wikipedia doesn’t have much to say about Hanegraaff, it does have an interesting article on Dutch Catholicism. The Roman Catholic Church in the Netherlands (Dutch: rooms-katholiek kerkgenootschap in Nederland (RKK)), is part of the worldwide Catholic Church, under the spiritual leadership of the Pope, Dutch Conference of Bishops, and curia in Rome. The Metropolitan Archbishop of Utrecht, currently Willem Jacobus Eijk, is Primate (bishop) of the Netherlands. Although the number of Catholics in the Netherlands has decreased significantly in recent decades, the Dutch Catholic Church is today the largest religious group in the Netherlands. Once known as a Protestant country, in 2007 the Netherlands was only 16.8 percent Dutch Protestant (down from 60 percent in the early 20th century; defections primarily due to rising unaffiliation). There are an estimated 3.992 million Catholics (31 December 2013) in the Netherlands, 23.7 percent of the population down from more than 40 percent in 1970’s. That would put Hanegraaff’s family in midst of a burgeoning boom for Rome; perhaps eager to be sent on a mission to America or at least providing a very appealing background for Hendrick to be chosen for use after he got here. Hanegraaff employs a powerful Jesuit tactic when arguing; having memorized vast portions of Scripture, he can throw out copious amounts in debate whether they’re related to the topic or not and the immediate reaction of any Christian is to be humbled by the reference of God’s Word. For a “Bible Answer Man” Hanegraaff’s secret past is a dark one. He has been accused of plagiarizing D. James Kennedy’s 1970 book Evangelism Explosion for his 1987 book Personal Witness Training, and Kennedy was a close friend. CRI is based in Rancho Santa Margarita, California and there are some interesting articles about Hanegraaff in the Los Angeles Times. Relatives of the late Walter Martin, founder of the Christian Research Institute, based in Rancho Santa Margarita, contend that Hank Hanegraaff has departed from the organization’s mission of debunking unusual religious claims. And they are demanding his resignation. Hanegraaff, 50, was the handpicked successor to Martin, who retired in 1979. But in recent years, the Martin family has been troubled by Hanegraaff’s leadership. Do you get the feeling that Hank is a bit of an interloper? Perhaps “insurgent” is a better word. Doctor Martin’s wife, Darlene confirmed this in a chilling letter to the editor. After reading your article “Casting Stones” (April 15), I am writing to clarify several issues. First, my husband, Walter Martin, never “handpicked” anyone to succeed him at Christian Research Institute and “The Bible Answer Man” radio program. This claim was handed to me by someone I thought I could trust as I approached the lectern at my husband’s memorial service. I read it for the first time—aloud—while standing in front of 1,500 people. It took me completely by surprise and put me in a very awkward position. I wish to take this opportunity now to apologize for allowing this statement to stand for so many years. At the time of my husband’s death, I believed Hank Hanegraaff was a man God could mold into a strong Christian leader, one who could play a positive role in leading CRI. I supported him loyally for six years before I came to see he was not the man I believed him to be. Secondly, one of our family’s main objections to Hanegraaff’s continued leadership is his mistreatment of fellow Christians. He has left a trail of wounded people behind him since the takeover of CRI in 1989. The testimonies against him include those who are his “right-hand” people, people who worked closely with him. Hanegraaff has called repeatedly for accountability in other Christian leaders and should be held accountable himself. Hendrick Hanegraaff wasn’t acting like a very good Christian but he sure does act like an excellent Jesuit. 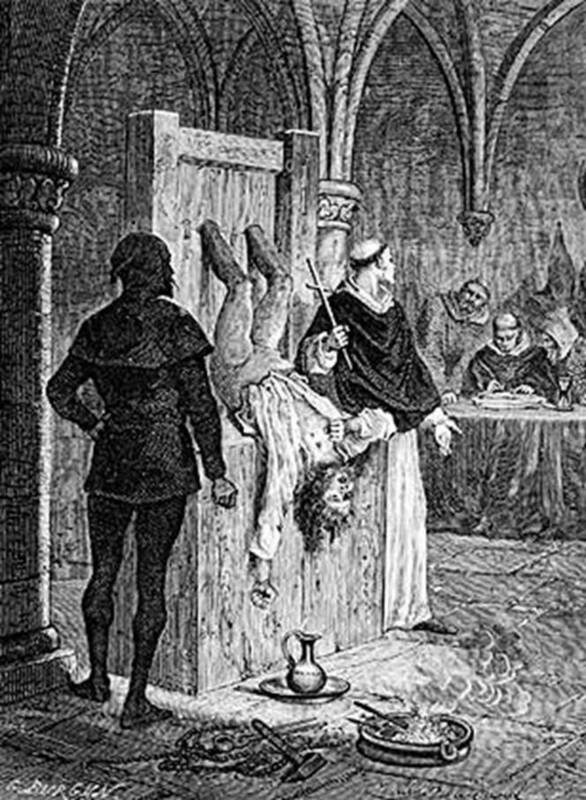 Since the suppression of the Templars (the first usury bankers, founders of modern banking) in 1307, the Papists have learned to never allow their own faces/names to be placed upon their machinations—especially their criminal financial exercises. Instead they hide behind scapegoats and their number one favorite targets are the Jews. Sadly, they’ve always found Jews interested only in self-aggrandizement, willing to be enriched and targeted in the process, or even malignant Jews who knowingly give their own race a bad name because they are true Luciferians. The Bank of Italy was launched by Amadeo Peter Giannini in California. After it’s shocking success, Americans began to get angry with both Rome and Italian immigrants. The name was changed to “Bank of America” (just like the Jesuit magazine is “America magazine”). Giannini used his money to found 20th Century Fox but put two Jews up front: Darryl Zanuck and Joseph Schenck. Zanuck and Schenck immediately produced a movie about the Rothschild banking dynasty called The House of Rothschild which was so effective in stirring hatred against Jews it was used in Nazi propaganda. Were Zanuck and Schenck really that self-loathing or were they merely Jewish faces behind a Papal plot? In his 2002 book Swarms of Locusts (pp. 116-119), Michael Bunker has a lengthy section on Hank. In CRI’s statement entitled “What Think Ye of Rome? (part 2)” on Catholicism, CRI states that Roman Catholicism only “compromises” the biblical doctrines of justification, the sufficiency of Christ’s atonement, the authority of the Bible, and total depravity! CRI accuses the other cults of DENYING these doctrines, but allow that the Catholics only “compromise” them. How can that be? How can TOTAL DEPRAVITY be “compromised” but not denied? Does CRI have a problem understanding the word TOTAL or the word DEPRAVITY? How can the doctrines of justification and the sufficiency of Christ’s atonement on the Cross by “compromised” without denying them? In a fundraising letter dated 6/7/95, Hanegraaff stated that any obstacles between Protestants and Catholics should not stand in the way of cooperation in areas where we share mutual interests and concerns. Sounds like Chuck Colson’s, “Evangelicals and Catholics Together” to me. It is easy enough to trace the Jesuitical fingerprint back from Hank Hanegraaff to Ignatius of Loyola himself. 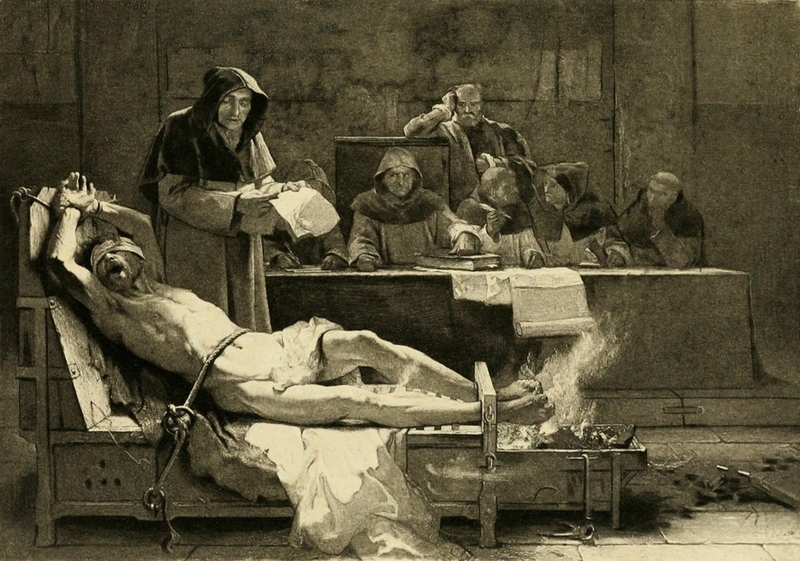 Hanegraaff is the product of Calvary Chapel, which is the product of the Neo-Pentacostal/Charismatic movement, which is the product of the Pentacostal movement, which is the product of the Ignatian/Arminians John Wesley and Charles Finney, who are the product of Jacobus Arminius, who is the product of Luis de Molina, who is the product of Ignatius of Loyola. Do you wonder why Hanegraaff vociferously denies that the Catholic Church is HARLOT of Romans 17, and that Rome is the city that sits on “seven mountains”? Can you see why the last days Great Deception is considered GREAT? When the armies of Jesuitical evangelism swarm the globe, they have a veritable buffet of “Catholic-Light” theology to offer. Whether a new “convert” chooses a more austere, formalistic institution to attend, or a more emotional Charismatic church to frequent ‑ he will be thoroughly indoctrinated in Arminian theology in short order. “Is Roman Catholicism a Cult” is not the most important or the easiest issue to prove (which is why it’s the one CRI addressed). But even when cornered by callers to his radio show on Catholic doctrine that is questionable, he attacks their sources and dodges the issue. I used a short clip on my show Resistance Rising and it’s quite clear who Hank works for. CRI is fully aware of powerful accusations that they serve Rome; the issue is avoided with the usual Christian-speak that’s as soothing as the stare of Kaa the snake from Jungle Book. Dare any of you, having a matter against another, go to law before the unrighteous, and not before the saints? Do you not know that the saints will judge the world? And if the world will be judged by you, are you unworthy to judge the smallest matters? Do you not know that we shall judge angels? How much more, things that pertain to this life? If then you have judgments concerning things pertaining to this life, do you appoint those who are least esteemed by the church to judge? I say this to your shame. Is it so, that there is not a wise man among you, not even one, who will be able to judge between his brethren? But brother goes to law against brother, and that before unbelievers! A best-selling Christian author and radio evangelist known as the “Bible Answer Man” has filed a defamation lawsuit against a longtime critic who had accused him of being under investigation for mail fraud. 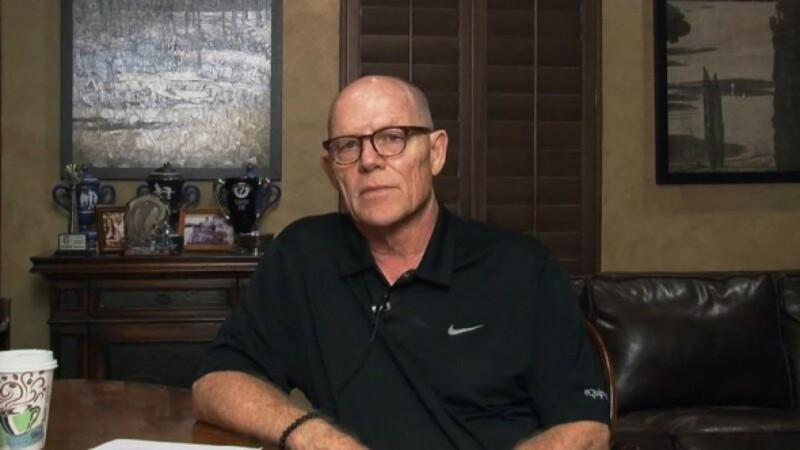 Controversy surrounding Hank Hanegraaff’s Rancho Santa Margarita-based Christian Research Institute arose earlier this year after he sent out an urgent fundraising letter, saying that a “bizarre error” by postal workers caused donations to be thrown away. Amazingly, Hanegraaff was only investigated by a religious insider group and not the FBI. After complaints from former employees, a Southern California evangelist who calls himself a theological watchdog for Christians worldwide has been chastised for his ministry’s financial practices. Officials with the national Evangelical Council for Financial Accountability conducted an audit that has resulted in what they called a “significant reimbursement” in June to the Christian Research Institute, a ministry run by Christian author and radio personality Hank Hanegraaff. Neither the council nor Hanegraaff, known on the radio as the “Bible Answer Man,” would say how much money was paid back to the institute or by whom. Council officials said the ministry cooperated fully with the audit. After this clean bill of health, perhaps we can call Hanegraaff the Teflon Don of Christian media! Hank Hanegraaff is president of the Christian Research Institute, an organization located in southern California that specializes in reviewing the major doctrines of various “cults” that profess an identity with “Christianity.” Hanegraaff is the host of a radio program, called The Bible Answer Man. The program is broadcast daily throughout the United States and Canada. Currently, however, the “Answer Man” is under pressure for some “answers” relative to his own ethics. And this is not the first time the gentleman has been in legal trouble. See: “CRI – Hank Hanegraaff Lawsuit”. Dr. James Kennedy is “Pastor” for the Coral Ridge Presbyterian Church in Fort Lauderdale, Florida. Kennedy is widely known for his own radio and television ministry, during which he enunciates strong positions relative to certain moral and social issues. For example, he vigorously opposes abortion, and he courageously exposes the fallacies of the theory of evolution. For some years Kennedy and Hanegraaff were associates and close friends. It seems that Kennedy was significantly responsible for training the “Answer Man” for the position the latter now holds with the Research Institute. Currently, though, the two are at serious odds. And, despite being a lightning-rod for controversy (or perhaps because of it) Hanegraaff sure seems to have some high-powered friends. 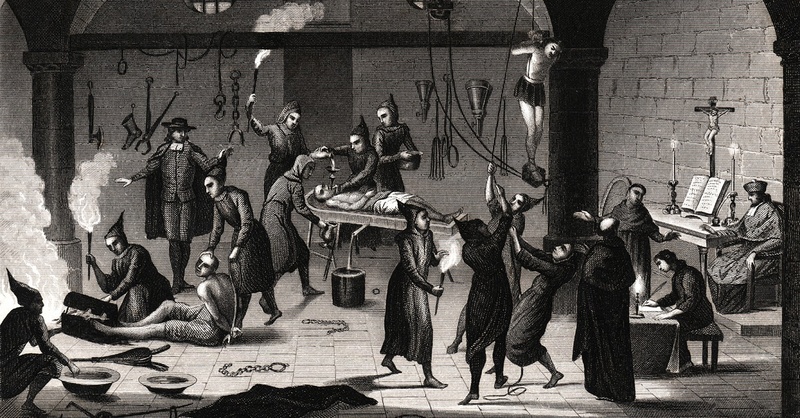 If that weren’t enough, the Jesuits contrived a Pre-Tribulation Rapture to insure any Christian who had second thoughts would rest assured that they would be beamed out before any trouble started. Sadly, Scripture proves that is not the case. Every single mainstream sect of “Protestant” Christianity teaches these Jesuit doctrines as if they’ve always existed with the exception of some stalwart Seventh Day Adventists. A little digging shows that Jesuit-influenced Protestant preachers re-wrote 1800 years of eschatology, erasing Rome from our understanding. One of the reasons they walk in lockstep is the culture created by wealthy fiction writers like Tim LaHaye. His Futurist/Dispensationalist Rapture series “Left Behind” is so big it now has talent like Nicolas Cage starring in the latest batch of movies. 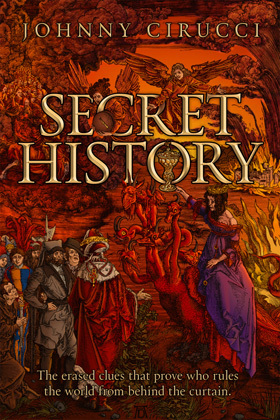 Can you remember the last time you saw a movie depicting the Vatican as secretly ruling the entire world through the banks, militaries and intelligence agencies? How about a movie that showed any controversy regarding Rome? Well we already know why; just ask Daryl Zanuck. But the Jesuits never leave good people without a false outlet. In fact, channeling anger and frustration is what they count on; part of the Hegelian Dialectic of thesis, antithesis, synthesis. … a wise general makes a point of foraging on the enemy. One cartload of the enemy’s provisions is equivalent to twenty of one’s own, and likewise a single picul of his provender is equivalent to twenty from one’s own store. 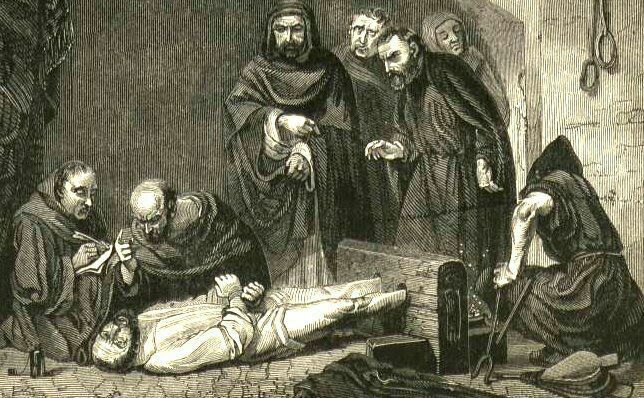 One of the great Protestant martyrs was an Englishman named William Tyndale. Tyndale bravely spoke out against Papal injustices and the crowning glory of his efforts were the breaking of the restrictions of the Council of Trent (which forbade the printing of Scripture unless expressly approved by a Vatican official) and the printing of Bibles in English. For that, Tyndale was condemned to be burned at the stake. In an unusual show of “mercy”, he was strangled first. Foxe’s Book of Martyrs has volumes on Protestants who didn’t receive the same “mercy”. Who is it that publishes Tim LaHaye’s Jesuit Chloroform? “Tyndale House”. Sensing a glaring monotony in their Futurist fare, “Tyndale” brought in a “true Protestant” to offer Christians a different point of view. Opposite LaHaye’s Pre-Tribulation Jesuit Futurism, Tyndale published Jesuit Preterist fiction written by our very own Hank Hanegraaff. Although LaHaye is making hay about his “betrayal”, he still receives the lion’s share of attention…and money. The Last Disciple was coauthored by Hank Hanegraaff and Sigmund Brouwer, and teaches that most prophecies in Revelation have already been fulfilled. The Left Behind series, however, is grounded in a premillennial, dispensationalist view of the end times, which includes a pre-Tribulation Rapture. “I guess you would say I am disappointed, perplexed, and confused,” LaHaye told Christianity Today. Don’t worry, LaHaye’s Babylon Rising series steers well clear of connecting the dots between Rome and the first rebellion empire of Babylon…but that’s why you have me. Perhaps the most disturbing of all are the rotten fruits of Hanegraaff’s work: Protestants doing the exact opposite of what Christ told them. For a “Protestant” “Bible Answer Man”, Hank Hanegraaff sure is doing great work for the Beast that crucified Christ and burned alive tens of thousands of His devoted Believers. Hanegraaff has made it official. 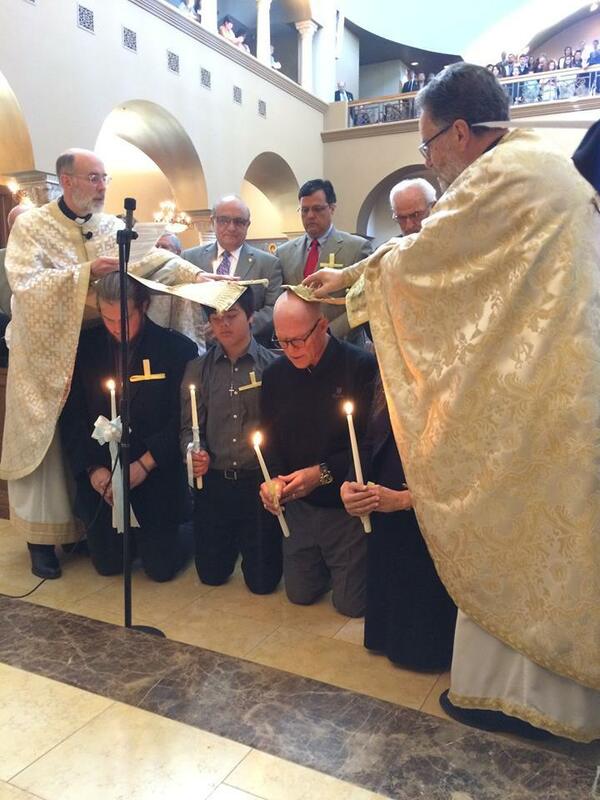 Three days ago (9 April, 2017) on “Palm Sunday”, Hanegraaff publicly submitted himself to the pagan rite of “Chrismation” at Saint Nektarios Greek Orthodox Church in Charlotte, North Carolina. Actually, it’s just the opposite: Hanegraaff was chosen from the beginning as an agent of disinformation who could twist and abuse Scripture to serve the Great Whore drunk on the blood of the Saints—but Dreher (and the “Christian Post”) would certain know about such agendas. Dreher’s just-published book is a siren’s call for right-minded Christians to believe they are served by joining themselves to the very entity who tortured them horrendously not 500 years ago. 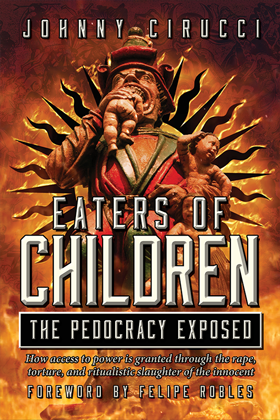 Johnny’s soon-to-be-released book will show you how these outrages never ended, they just went underground. Fantastic work Johnny!! You’ve done a great job researching Hank. Even though there isn’t a concrete piece of evidence tying him to Rome, what you’ve found and how you have connected it all is more than proof enough. Your closing statement is very powerful. This is an excellent article. You provide so much information, and I really appreciate your style of writing. I am new to all of this, so it is a bit overwhelming for me. Now that I am “awake” it is hard to know who is for real and speaks the truth. Thank you – your work is much appreciated! Very good article, well researched. However, I have listened to Chuck Missler. I believe him to be sincere, but wrong. I do not think he is intentionally misleading us. Interesting about LaHaye though. Apparently Missler and LaHaye came up with the rapture theory together from what I have understood Missler to say. I personally have become Messianic, which I believe is the true way. Thanks Sandra. I guess I’m just too cynical not to believe Missler has betrayed me and everyone he has influenced. I can’t see him so immersed in the military/industrial complex, so passionate about ALL Jesuit doctrines right on down to his frequent mention of “plane geometry” vs. “curvature of the Earth”, to all of the Jesuit-sponsored guests he’s given his little medals to, to not believe him to be a willing instrument of disinformation. This is more confirmation that my discernment from YHWH works just fine. Everyone of the people mentioned just did not set well with my gut. I am from Southern California and am very familiar with Chuck Smith and his false doctrines. They are subtle and all that is required is that 1 degree of separation. Tim Lahaye’s books have led many astray. It seems the more a pastor is idolized, the worse he/she is. People don’t seem to realize that satan has an anointing, as well. I’m now hooked on your articles…No fawning, I just appreciate good teaching! Good article. Hank first came on my radar while researching Witness Lee’s “Local Church” cult. Walter Martin identified the Local Church as a cult (started in China and moved to Anaheim, CA); H.H later said they were devout Christians. Their errors and heavy-handed control of their followers are are too much to write about; research it online. The late Witness Lee despised the papacy and “harlot Roman systme”, yet he exerted just as much control and claim to infallibility as any pope. They target young adults in college campuses.